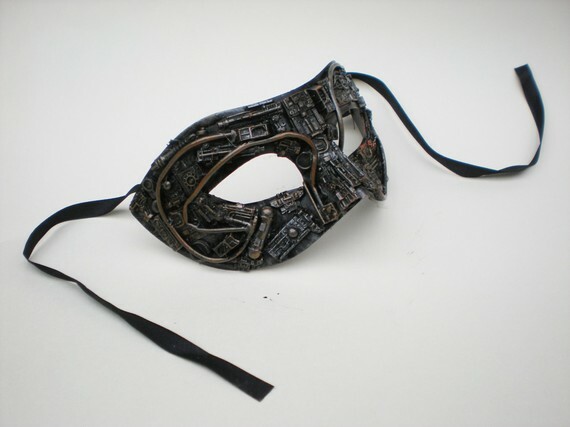 I don’t think I’ve ever mentioned it here on this blog, but I love Venetian masks. I’ve got a couple of porcelain ones hang up on a wall, and I’m still looking for a elegant masquerade ball where I can show off my pretty purple and silver mask. Remember that I said I wanted to create a steampunk outfit? This would be perfect for it! It’s on Etsy for $38.